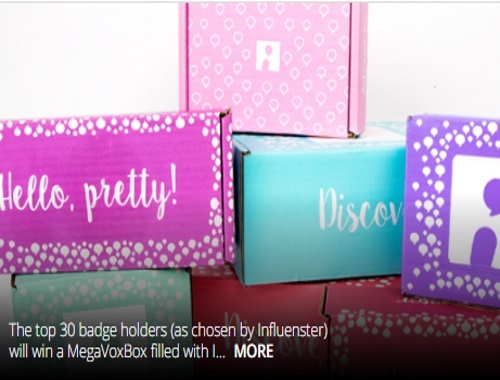 Influenster is giving away MegaVoxBoxs to celebrate their program launching in the UK! Earn 100 points by completing activities at the link below to unlock the badge and earn a shot at 30 MegaVoxBoxes filled with Influenster favorites. Click here to complete the tasks to get a box. Click here to sign up for Influenster if you haven't yet.